February 5, 2014  Some Republicans have begun to demand the repeal of a key feature in the president's health care law, which protects insurance companies taking part, in exchange for agreeing to raise the nation's debt ceiling. But according to Congressional Budget Office Director Douglas Elmendorf, the so-called "risk corridors" actually benefit the Treasury, rather than costing taxpayers money. 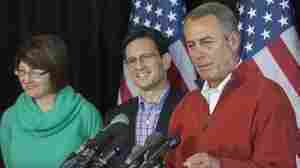 January 29, 2014  After two years of fits and starts, a new farm bill appears on the verge of passing Congress. The House passed the 959-page proposal on Wednesday, with the Senate likely to pass it next week. The compromise cuts $8 billion from food stamps over the next decade and replaces farm subsidies with more extensive crop insurance. January 28, 2014  While the Senate passed an immigration overhaul last June, the House has done nothing so far because of resistance from many of its Republican members. 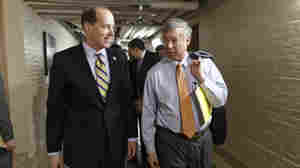 That could change soon, as GOP leadership is floating general ideas for possible legislation. January 28, 2014  Last March, Sen. Carl Levin announced his final term. 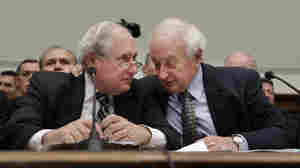 But his brother, Rep. Sandy Levin, will run for re-election next year. "It's difficult for me to imagine Carl's not being a partner and my closest friend," Sandy says. Tuesday's State of the Union speech will be the last where they sit, as they always have, side by side. January 24, 2014  The retirement of Republican Sen. Saxby Chambliss has unleashed a scramble for the job. Eight Republicans are trying to out-conservative one another in battling for the nomination. 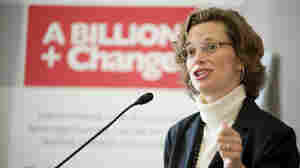 And Michelle Nunn, the daughter of former Sen. Sam Nunn, has emerged as the likely Democratic nominee. January 15, 2014  The so-called "omnibus" package of all 12 annual spending bills has more money in it than what Congressional Republicans wanted, but less than what President Obama had asked for. There is some disappointment with the measure on both sides of the aisle, but this time nobody is talking about forcing another government shutdown. 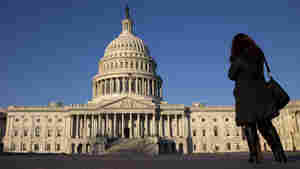 January 14, 2014  Most of Washington expects that the massive omnibus spending bill to pass House and Senate before the week is out, but some House Republicans and Democrats are still fighting a rearguard action to delay or stop it. What do the opponents have to say about the bill?